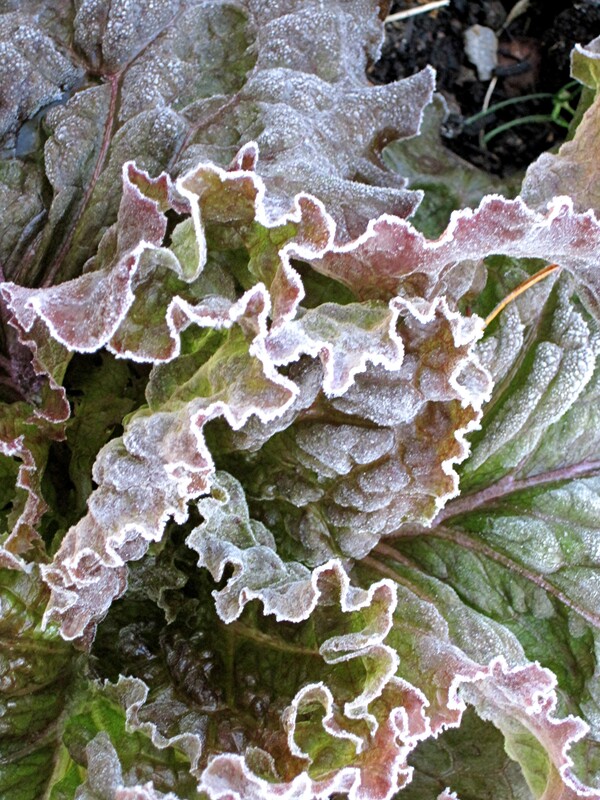 I took this shot a couple of mornings ago, we had a hard frost and this is a shot of my lettuce. This morning it is 65 degrees at 7:30 A.M.!! This entry was posted on November 12, 2012 at 12:59 pm and is filed under Uncategorized with tags Red Leaf Lettuce. You can follow any responses to this entry through the RSS 2.0 feed. You can leave a response, or trackback from your own site. Di that’s one lovely shot! I love the soft muted colors under the frost. What a great composition! Your image creates a lovely abstraction.